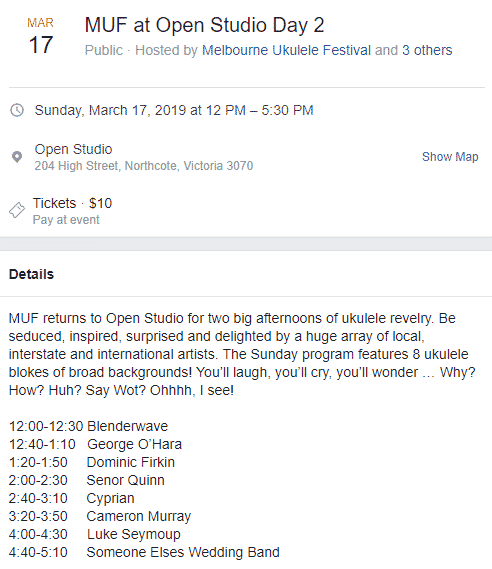 The Melbourne Ukulele Festival is a fun event where lovers of music come together to listen, play and sing along to all things involving the ukulele! 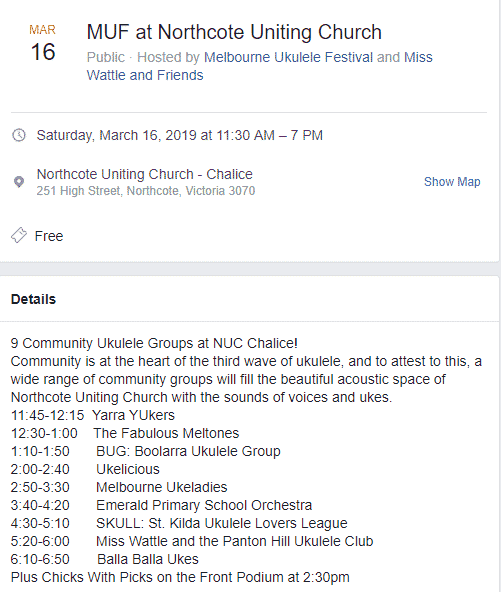 The festival is held at the Northcote Town Hall, High Street Northcote and other venues around the Northcote Precinct. 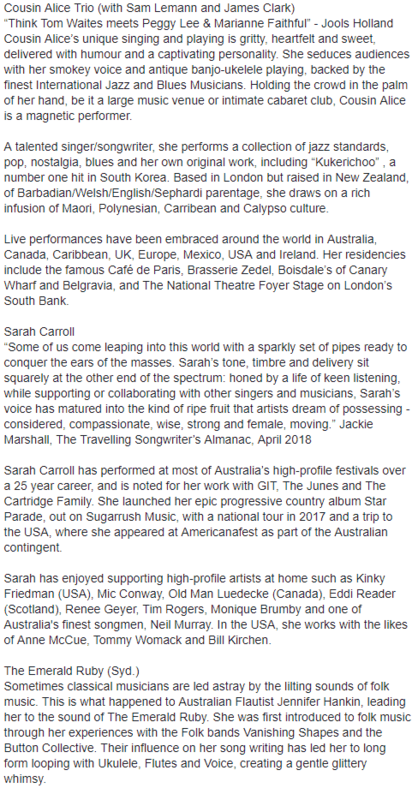 The festival started in 2009 and continues to run as a not-for-profit community event which is supported by the City of Darebin. During this festival, you will be able to watch performances from both local and international artists and even participate in a jam session or a workshop. 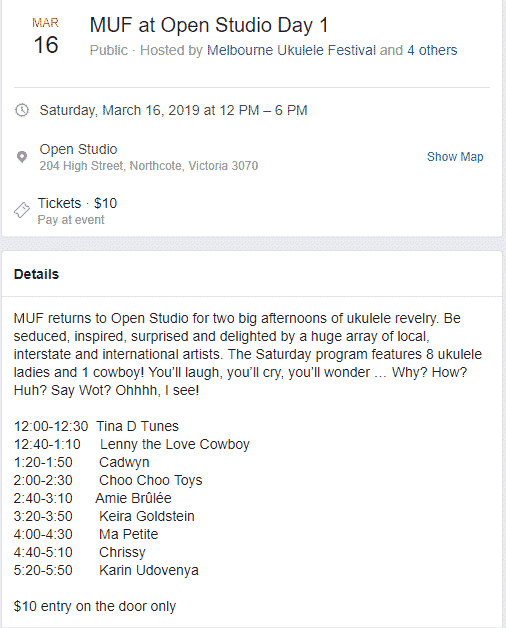 Some of the workshops include a Family Ukulele Workshop, the Musical Evolution of the Ukulele, Rock and Roll “Fun Shop”, Strumming Workshop, just to name a few. To get to the Northcote Town Hall, catch the number 86 Tram and alight right out the front of the Town Hall. 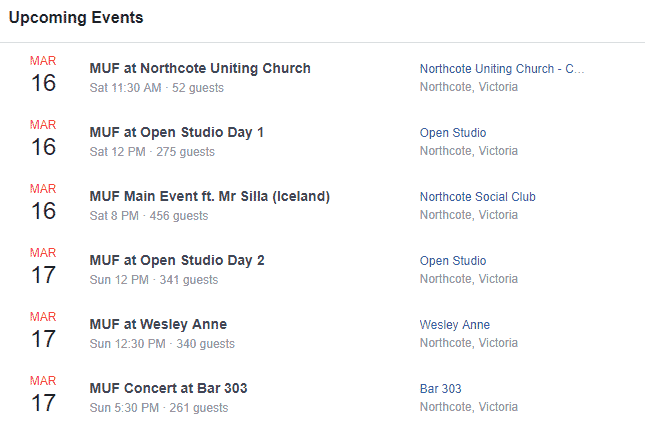 Alternatively, catch a South Morang Train from Flinders Street or Southern Cross Station and alight at Northcote train station. The Town Hall is only a short 750-metre walk from the station. Prices vary for each event. Please see the above details. Is there an easy way to download and print off from my laptop a Program of Events. I’m coming down from Batemans Bay NSW over the w/end. Some of my kids & grandkids want to come along too. 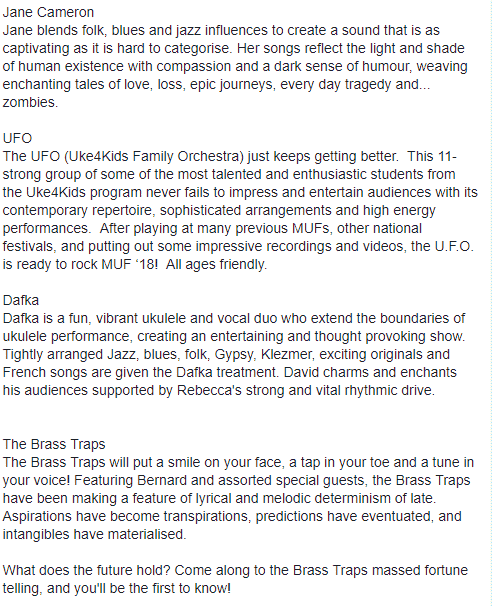 We’ve just been to the 10th Annual Blue Mountains Uke Festival. We just love UKES. Thanks Annie Stewart. 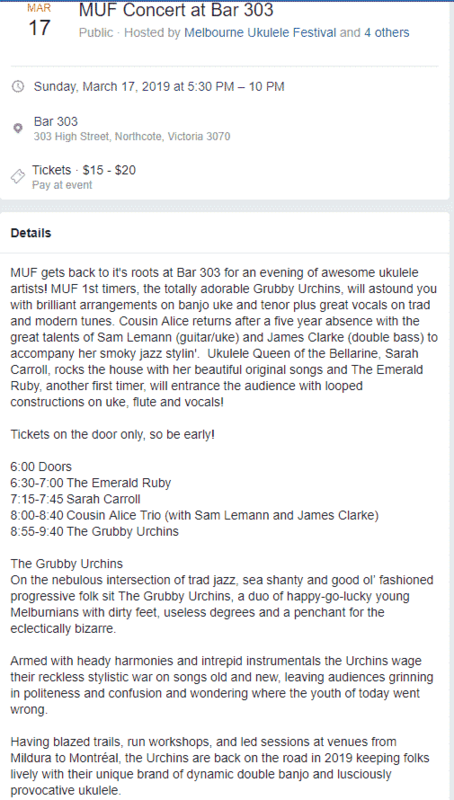 The best version of the program I can find is located at http://www.muf.org.au/index.php/program/program-grid. I have just done a print preview and it appears to look alright (although some fields are being cut off). You may be able to copy and paste the details into either word or excel and it should print off better.